Meeteetse Museums is comprised of three museums – the Meeteetse Museum and Charles Belden Museum of Western Photography located at 1947 State Street, and the Bank Museum, located at 1033 Park Ave., which is listed on the National Register of Historic Places. 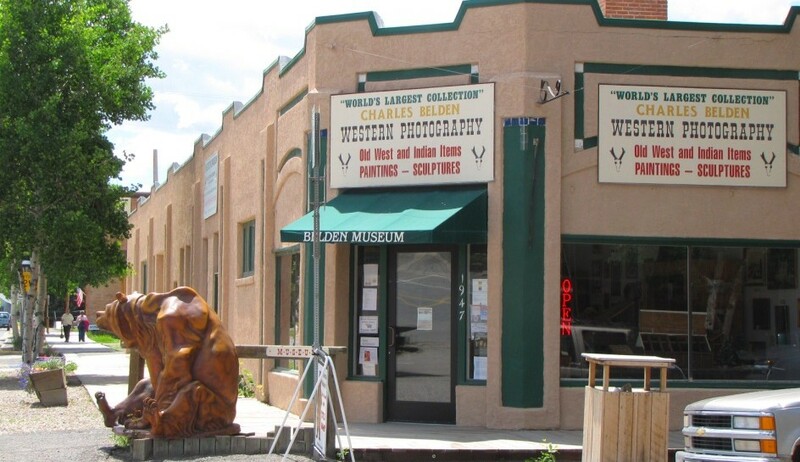 The museums contain an extensive collection of historic items and archives from the town of Meeteetse, the Greybull and Wood River valleys and southern Park County. Featured items include photographs and personal effects of Charles Belden (who documented life on the famous Pitchfork Ranch during the early twentieth century), “Little Wahb,” one of the largest grizzly bears taken in the Yellowstone ecosystem, Mike Crocker’s “Grand Slam” of North American wild sheep, antique sheep wagons, and the endangered Black-Footed Ferret Exhibit. Programming includes permanent and temporary exhibits, educational seminars, culturally-based entertainment, and organized tours to significant archaeological and historical destinations near Meeteetse. Open Feb-April: Tues-Sat 10am-4pm; May-Oct: Mon-Sat 9:30am-5pm, Sun 12-4pm; Nov-Dec 22 Tues-Sat 10am-4pm; closed January.